Merchants Mortgage & Trust specializes in short-term loans to real estate investors. They have closed over 5,000 fix-and-flip transactions since 1997. Their rates start from 10%. They lend up to 90% LTC and 75% ARV, and they fund loans in 5-7 days. They have an A+ BBB rating and generally positive reviews in Google and BirdEye. 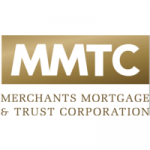 Work For Merchants Mortgage & Trust? Claim This Page.